Roaring Lion struck a decisive blow for the Classic generation yesterday when the 3/1 shot proved himself the pre-eminent mile and a quarter horse in Europe after running out a three-and-a-quarter length winner of the Juddmonte International at York. However, connections of the runner-up will have left the Knavesmire believing they have some unfinished business with the winner after Poet’s Word was blocked and hemmed in at the critical moment, three furlongs out. 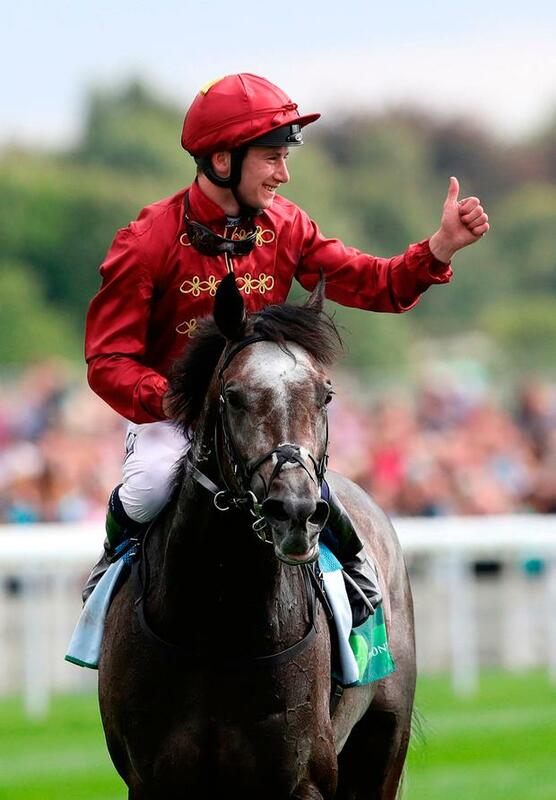 James Doyle has enjoyed a golden summer but little went right for him in this race and, when he finally found some racing room aboard Michael Stoute’s five-year-old , Roaring Lion had already flown the nest. Yesterday’s result will have gone some way to redressing the balance and, as winning trainer John Gosden pointed out, there were no significant older horses in the Eclipse, and no significant three-year-olds in the King George, so this was where they met. “He had been working exceptionally well,” said Gosden. “We had a difficult spring with him. It was cold and wet, which he didn’t like. But he has got better and better and this was not a fluke. The Group One winners are now beginning to flow for Oisin Murphy, who was adding the International to Roaring Lion’s Eclipse and Lightning Spear’s Sussex Stakes for his employer, Qatar Racing. However, he admitted that in believing he was on the best horse he felt more pressure in a big race than he had ever felt before. Having supplemented Thundering Blue for £75,000, David Menuisier was delighted with the 50/1 shot’s third, half-a-length behind Poet’s Word.